We tapped some very special guest bloggers to help us celebrate this summer's Word for Word Poetry series at Bryant Park. All summer long, they provided a behind-the-scenes look at each event and the talented poets who shared their work in the park. It's been a wonderful season of Word for Word Poetry at the Bryant Park Reading Room and we hope to see you at next year's series. The last reading of the summer. We New Yorkers (at least the secular ones) don't have enough ceremony in our lives. When the seasons change, we buy things, anticipate the drama of the coming season, and act surprised whenever the seasonal weather doesn't kick in ontime. 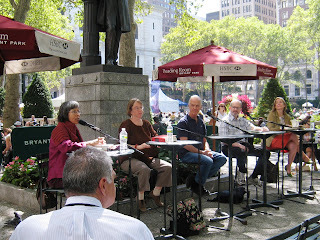 Tuesday's reading at Bryant Park was the very thing to remind readers and audience members that literature is often the thing that ushers in the new season— and that it will outlast each and every one of those months that seem to alter us, in their small ways, with each passing year. The reading was dedicated to the Oxford Book of Latin American Poetry, a magnificent anthology which samples poems from almost 150 poets, spanning 500 years. Edited by the magical Cecilia Vicuña and Ernesto Livon-Grosman, the book comes in at 608 pages—a doorstop, complete with illustrations that trace the history of Latin American poetry from Precolumbian Mesoamerica to concrete poetries of the 18th century to Raul Zurita's skywriting of 1982. The book itself resists the split between the genres of visual, auditory art and writing, and this is what Cecelia Vicuña, who acted as host and moderator for the event, wanted to communicate when she began the reading with a resonant humming, which melted easily into laughter. "To feel that the voice is becoming part of the wheels and sirens. . . it's a very beautiful moment," she said, setting the tone for the afternoon. The interconnectivity—of place and word, sound and image, voice and tangible text—is what Cecilia and her co-editor (who was not present) sought to preserve about Latin American poetry, and twelve years after the conversation between Cecilia and Charles Bernstein that started the process, the book has arrived in the world, stuffed with the mutivocality of Latin American poetry. Nine indigenous languages are represented in the book, according to Cecilia— who noted that this was but a tiny sampling of the hundreds of languages in Latin America. 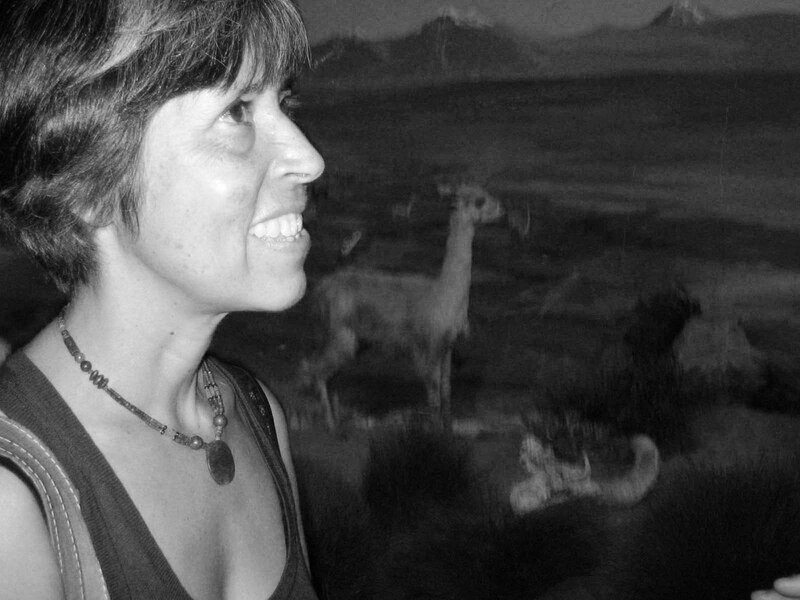 Cecilia is herself of diverse origin, hailing from Chile but of Basque lineage, and her artistic efforts— in poetry, visual art and filmmaking— reflect a multidimensional approach to the world. Latin America, she pointed out in her introduction to the reading, did not emerge as a conceptual space until the 19th century, and emerged only then in "the West"— "we speak of the West as though it is foreign to us," she noted, eliding the (certainly northern) West with the discrete naming of places and their perceived divisions—"this traditional or experimental, we don't have that," she said. Even the distinction between visual art and poetry, such as it functions in the West (itself not exactly a location), is a way of understanding expression that does not exist—at least to the extent that it does in the States—in Latin America. The reading itself was multivocal, offering a platform for four translators to present their work— Esther Allen, Jim O'Hern, Daniel Shapiro and Molly Weigel. It seemed fitting that the first translator to read pointed immediately away from literature per se, to a sculpture, to begin her presentation about Jose Martí. Esther Allen prepped the audience for her translation of Martí's poem, "Waking Dream," by interpreting the statue of the great hero of Cuba just ten or so blocks away at the top of the Avenue of the Americas. She pointed out the equestrian statue's unique quality— Martí is falling off his horse at the moment of his death. Most equestrian statues are reserved for heroes looking very much alive, bravely soldiering through adversity. But, she noted, perhaps this is fitting— Martí is a kind of Christ figure in Cuba. 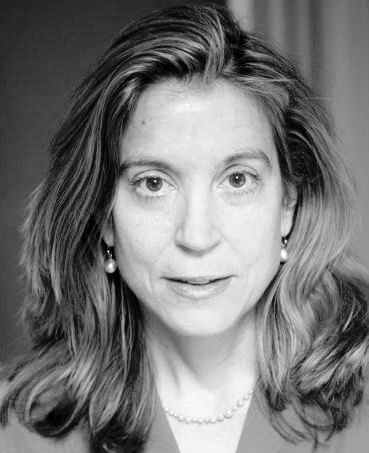 After pointing out America's complete dearth of poets who have become political figures (let alone war heroes), she suggested audience members imagine Lincoln, Washington, Whitman and Emerson all rolled into one— this is the equivalent, she said, of Martí, who lived in the United States from 1880-1885 when he was in exile from both Cuba and Venezuela. His wife took their son back to Cuba, and in response, he wrote the poem that Esther read—"Waking Dream," which became so popular in Cuba that school children regularly memorized it, and it became the anthem of Cuban diaspora. She followed with an excerpt from Martí's diary of his time in the Spanish American War, written shortly before his death. Esther's presentation was remarkably concise and informative, a mini-lecture on Martí that contained more contextualization than reading but we were all the better informed for it. Jim O'Hern read next, and introduced himself as a Texan from Laredo, a border town of 40,000, just across the border from Nueva Laredo, the main crossing point for the Pan-American highway from Latin America into North America. Laredo, he said, with a note of regret in his voice, is now "a thriving community of corruption and dope traffic." Jim read his translation of "Exodus of the Gods," by Sergio Mondragón, a long piece combining lineated verse and prose blocks that condemns the Mexican government as much for its mistreatment and disrespect for indigenous culture as it condemns the immigrants themselves for abandoning their lands— "We have left this place / because now you don't want us / you never wanted us / and are ashamed of our languages / which sound like bells in the towers and the alters / of our grandparents and mothers / who have also forgotten us" — the poem was quite long, meditative, moving between impassioned lyric and statistic. It gathered a crowd of onlookers, tentative audience members edging closer, turning their bodies toward the speaker. Daniel Shapiro read next his translation of Elvira Hernández who wrote during the Pinochet dictatorship of Chile in 1973-1990. The poem, an excerpt from "The Flag of Chile," takes the metaphor of the flag to lament the physical abuses suffered by the people of Chile under Pinochet. The poem gets progressively more and more brutal, ending in utter terror, chanting its ending refrain over and over again: "hoist lower / hoist lower / hoist lower / hoist lower" (ad, seemingly, infinitum). It's strange what the effect of hearing the same phrase repeated so many times does to an audience— I found myself vacillating between appreciation for the audacity of such a move (the phrase is repeated twenty times) and wanting it to just stop, stop already, a feeling of complicity with the bystanders of political brutality, and empathy for those undergoing that seemingly endless brutality. After this, Daniel read two poems— "Bridge Over the River Bao," and "Beneath the Shadow of a Limed Wall"—from his translation of Thomas Harris's book, Cipango—each of them dark, disturbing, grotesque poems that seemed to portend this year's earthquake in Chile. He ended on a bright, beautiful note, with one of his own poems, about a visit to the grave of Gabriela Mistral— "I sought you there on a crackling afternoon / your breast all lit up by sun." The final translator to read was Molly Weigel, who read selections from three Argentine poets, the first of which, Francisco Maderiaga, wrote about the ancient divide between rural and urban folk— "The Trivial Jungle" addresses this divide and all of its accompanying fear of otherness, of sensuality and mechanical power— "I'm in between the sword of scenery and the hot prick of landscape, traveling with an ardor of jewel and blood" On the heels of this, she read an excerpt of her translation of Jorge Santiago Perednik's poem, "Shock of the Lenders," which posits language as a form of resistance and, as Molly noted, asks the question that haunts so many poets today— if all kinds of language have been co-opted by the powers that be, how are we to speak? We need both language and beauty— but each of these are also the site of struggle— "Beauty is the order of sabotage. No / The order of beauty is an effect of sabotage. No / Beauty is a . . . from the order of sabotaging the order of . . . No?" the author attempts to order these most important facets of existence and fails to land on any convincing axiom, resisting didacticism by trying, and failing, to be didactic. 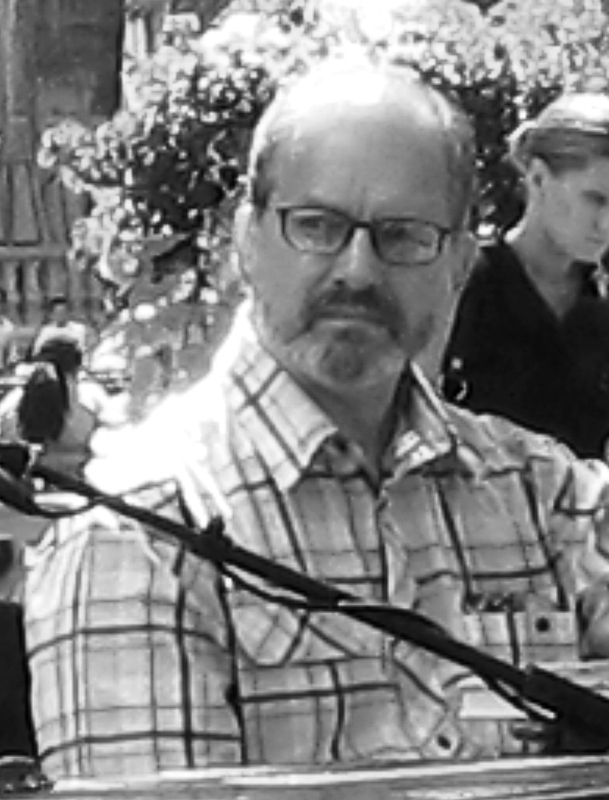 The last poet Molly offered was Oliverio Girando, whose poem, "The Mix" restated, concisely, the aim of the anthology— to mix sound, texture, image, "the taste for risk budding." Yes. Molly finished with one of her own poems that drew from some of the conventions of Latin American poetry— a refrain appeared, an absurd question, a reference to a contemporary event, and a dream—in which Nicholas Cage appears with a talking ocelot. Cecilia finished the evening by thanking the translators and performing a Quechua chant that was transcribed from Quechua into Spanish, into English, and into Latin. The poem, she said, sings the origins of the world. A girl carries a pot on her head. Her brother hits the pot, and the origin of the world explodes into thunder and lightning. The sound of the origin of the world is eerie, slow and birdlike. A lullaby with enough sharpness to offer its barbs, enough drama to be a sad, lilting, incredible sound. Listening to Cecelia Vicuña sing in Quechua was one of the best things I have ever experienced at a reading— and it even felt a little ceremonial— listening with the crowd, who had gathered and filled out— and who were absolutely silent— until she finished— and we broke into applause. It was a good way to end an incredible season. Well done, Paul Romero. I can't wait to hear what he'll bring to the crowds in the park next summer. It's been a pleasure.